"A woman as the Magdalen writing at a table in an interior." A woman as the Magdalen writing at a table in an interior. 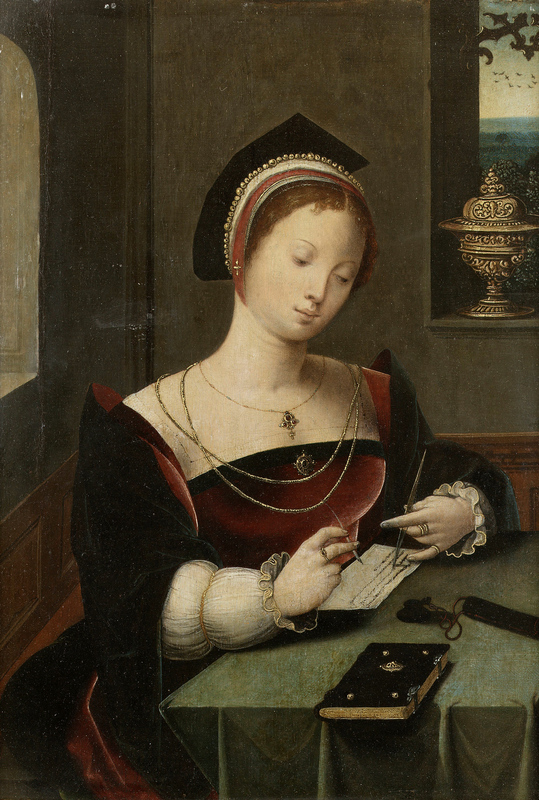 Master Of Female Half Lengths - A woman as the Magdalen writing at a table in an interior. Workshop of Master of the Female Half-Lengths (1500 - 1530) - A Woman as the Mary Magdalene.